It’s no secret that small businesses in Vancouver have had a hard time hiring and keeping staff longterm in recent years. Solly’s Bagelry, known for their Jewish baking and deli eats, has come across this problem before, most notably in late August/September of 2017. The family of bakeries operates three locations in Vancouver and has been pretty transparent on social media about their trouble finding part-time and full-time dependable team members. We had to close our Eastside shop early today due to staff shortages. We’re sorry for the inconvenience. West and Yukon are open! It looks like the bagel hotspot is still struggling almost one year later, most notably at their 2873 W Broadway location. While their hours overall have already been trimmed to accommodate the smaller number of staff on rotation, it was recently announced that this particular eatery will be shutting down for several weeks. A message explaining a short-term closure is now on the door, and Solly’s has posted it online as a call for resumes, no wage was included on the note. 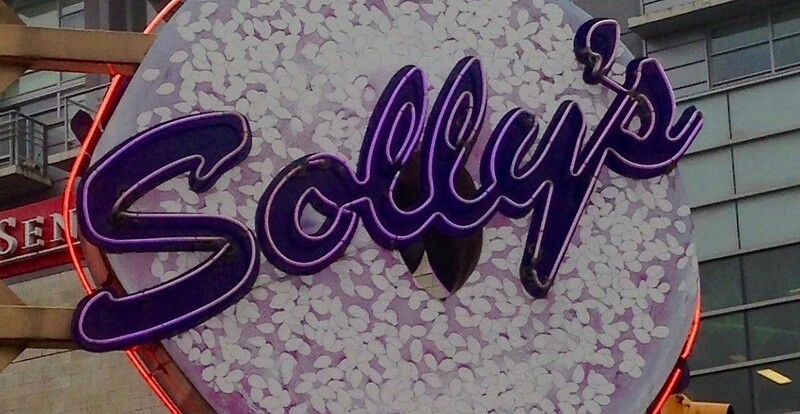 Daily Hive has reached out to Solly’s, and we’ll let you know when this location will be reopening.